Every winter Josiah heads out into the Canadian prairies with his family in search of one of his favourite subjects to photograph: snowy owls. While these beautiful birds don’t reside in southern Alberta year-round, a large number of “snowies,” as they are affectionately called, come south each winter to hunt rodents on the fertile prairies. 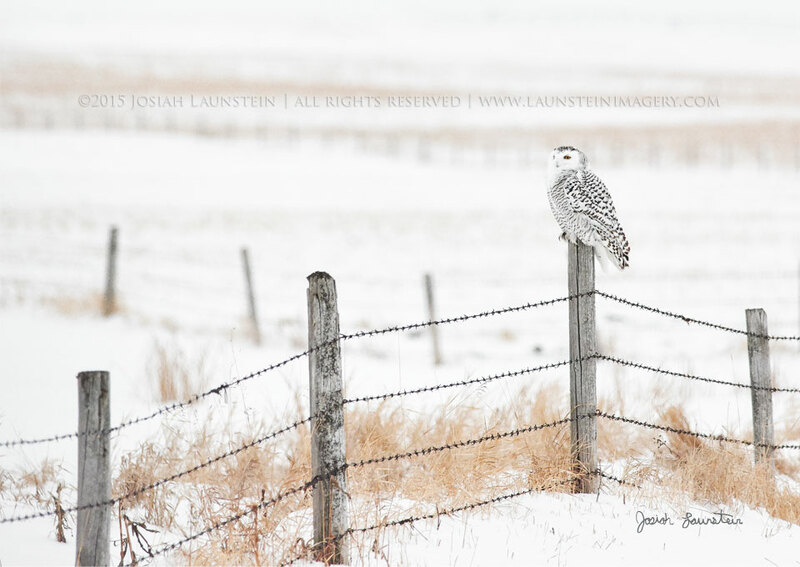 Taken just days after he captured his multi-award-winning “Snowy Snowy” image, Josiah photographed this beautiful female as it searched the fields for a meal.